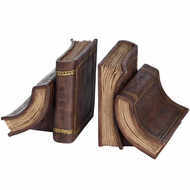 We love our range of vintage bookends! Perfect for added a splash of fun to a bookshelf, we’ve sourced a range of unique bookends that tick all boxes when it comes to function and style. 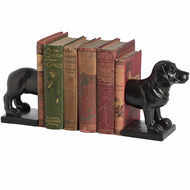 Opt for one of our novelty animal bookends or go traditional with one of our more classic designs. Sturdy, high-quality and guaranteed to raise a smile with guests, shop the Baytree Interiors bookend collection today. From your favourite paperbacks to recipe books and textbooks, there’s no excuse for your books to be unorganised when you have one of our fabulous bookends. 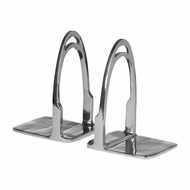 With a pair of bookends you can keep books together, or add another decorative element to shelves or a bookcase. Our collection has some of our favourite designs, including plenty of animal bookends in a range of styles. 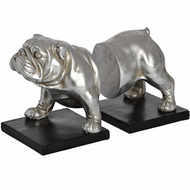 Show your British spirit with the classic bulldog, or try and resist the lure of the adorable sausage dog bookends! Our vintage bookends make great gifts and go perfectly with our other homeware such as our vintage fireside accessories and wall signs. Shop the full collection today.